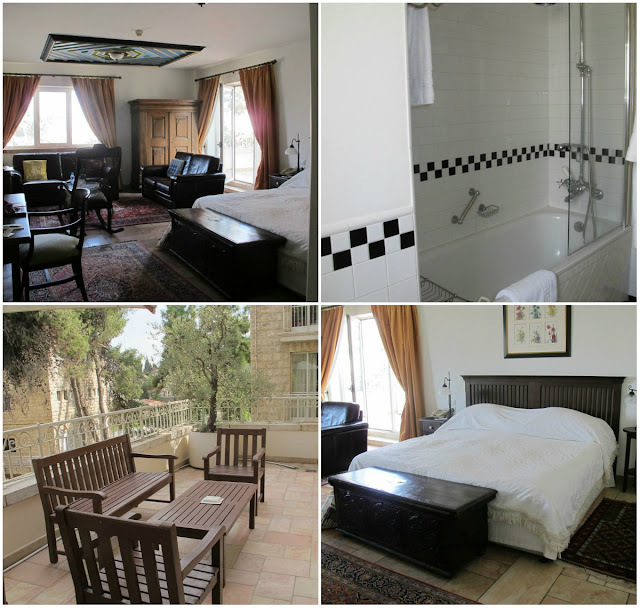 Long before my trip to Israel, I was hearing MAJOR hype about the American Colony Hotel in Jerusalem. For decades, it’s been a hub for politicians, diplomats, foreign correspondents, and famous people like Lawrence of Arabia, Bob Dylan, Tony Blair, and John le Carré. 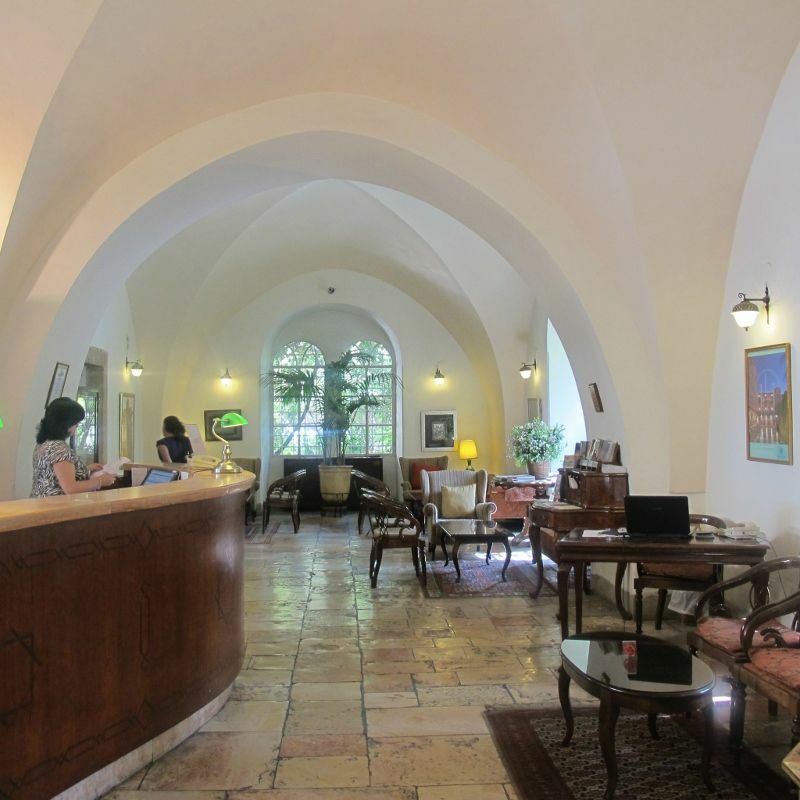 But what was so special about this historic hotel in East Jerusalem? I travelled 9300 km to find out. Within seconds of arriving, I knew my visit was going to be epic. 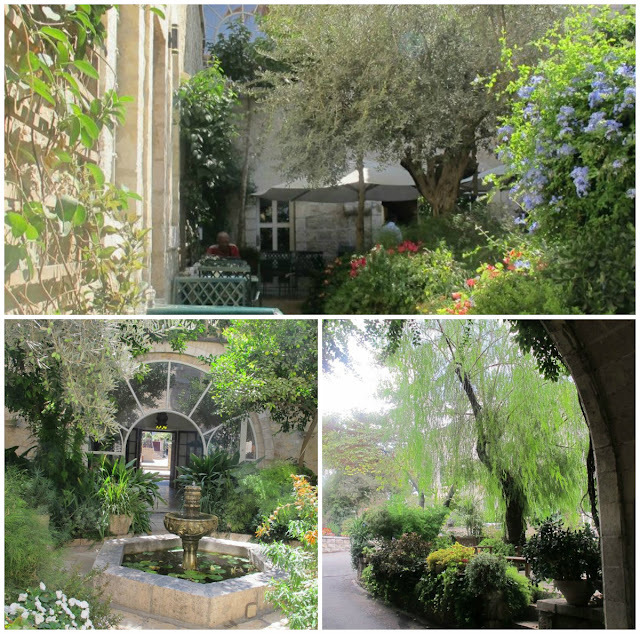 With its leafy gardens, old stone walls, and dreamy atmosphere, the American Colony Hotel offered sanctuary from the heat and racket of Jerusalem. It felt like a romantic rural estate, but with modern upgrades. At check in, I was greeted by friendly staff and a glass of champagne. I relaxed in the garden courtyard while my heavy bags were whisked away and my room was prepared. I nearly died when I saw my room. I was upgraded to a luxurious suite, complete with a living room, a spa-like bathroom, and terrace. I slept soundly in the king-sized bed with its plump pillows and cozy duvet. The hotel staff had already delivered my luggage, so my only task was to unwind. No wonder Tony Blair made this hotel his home! 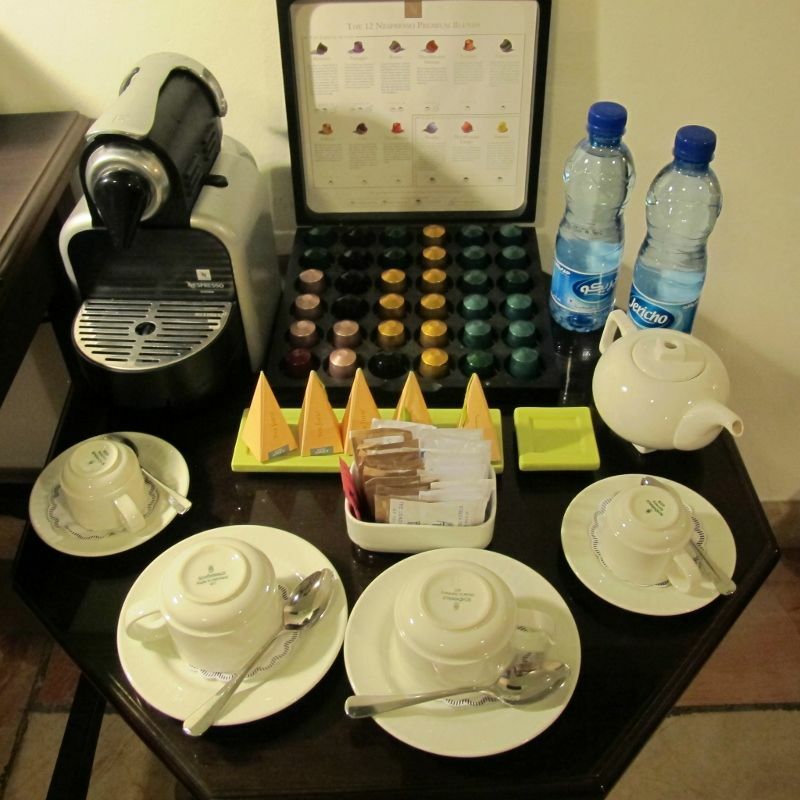 Complimentary bathrobes, slippers, spring water, and coffee/tea were provided in the room. Guests also have access to a fitness facility, free WiFi, and a business centre. Downstairs, the concierge helped me arrange day trips, guided tours, and car rentals. The hotel is also walking distance to the Old City and main attractions. Super convenient. I devoted a full day to enjoying the gorgeous pool, surrounded by turquoise waters and palm trees. I ordered from the restaurant whenever I got hungry or thirsty. Can we talk about the buffet breakfast for a moment? Every morning, I helped myself to fruits and veggies, cheeses, cold cuts, hummus, bacon, sausage, eggs, waffles, and a crepe station. The rosti potatoes and selection of fresh breads were definite faves. Just when I thought my stay couldn’t get any swankier, room service arrived to “turndown” my room at 6pm. A staff member closed my curtains, adjusted the room temperature, fluffed my pillows, turned down my sheets, and left a chocolate mint on my pillow. Basically, the hotel “tucked me in” every night (minus the bedtime story). Standard rooms at the American Colony Hotel start at $235 and up. If this exceeds your budget, stop by for a drink or dinner at one of the restaurants. 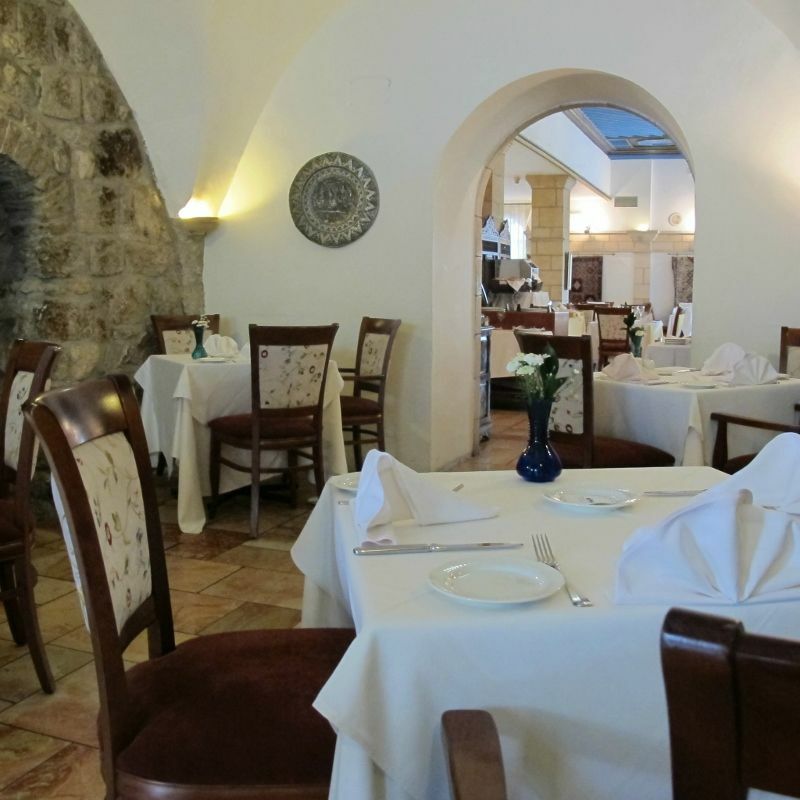 The Arabesque Restaurant has a superb menu of Middle Eastern and international gourmet cuisine. For a more casual atmosphere, order exotic cocktails and barbecue at the Summer Bar. I’m spoiled for life from my stay at the American Colony Hotel. It made my visit to Jerusalem absolute perfection. After being in the heat all day, I was welcomed into the open arms of peace and luxury at this hotel. 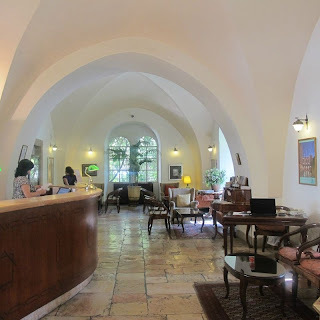 Above all, I felt well cared for by the staff at the American Colony – the service was outstanding. This was definitely one of my best travel experiences. 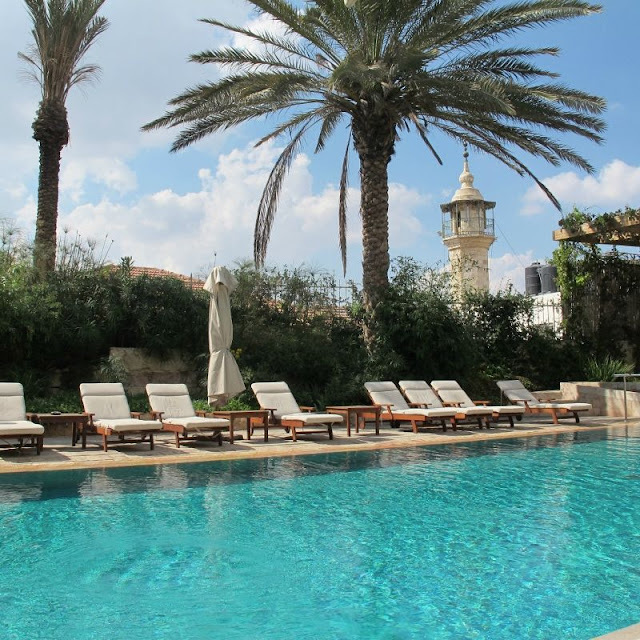 If you’re headed to Jerusalem, you won’t regret checking into the American Colony Hotel.